3Y0I / Rebel DX / "Facebook Page"
3Y0I / Rebel DX / "Twitter Page"
No information is currently available as to a 3Y0I online log or the preferred QSL request route for the 3Y0I DXpedition. No, we do NOT yet know if they will be using Clublog. The 3Y0I Bouvet operation has put together quite a team and have a dedicated page for the on-air operators and off island staff. Active 3Y0I thread - QRZ's "DX Zone"
Active 3Y0I thread - E-Ham's "DXing"
3Y0I dates of operation will be announced once the team is underway from South Africa to Bouvet. NEWS UPDATE April 2, 2019 - M/V Atlantic Tuna has made safe return to Cape Town with all hands safe. The 3Y0I team will have a further update shortly. 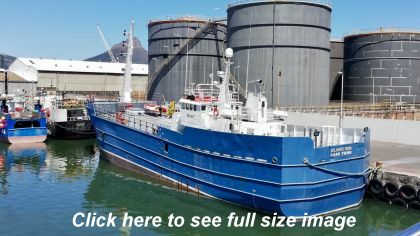 URGENT UPDATE MARCH 27, 2019 : The vessel Atlantic Tuna has been damaged by a severe storm and has been forced to turn back to South Africa. POSTPONED not cancelled. Events began to unfold late yesterday and some of the suspense played out on 40 meters last night. I will have a further update soon. As N0UN posted, "A fair wind and following sea my Rebel Brothers"
The DX Rebel / 3Y0I team is reported to still be in South Africa and are pre-assembling some of the antenna's in the ship's cargo hold. Speculation and rumors about the departure date, landing plans, QRV date, etc., are widespread. ONLY trust "official" sources of information - available at the 3Y0I DXpedition websites linked on the left hand upper side of this page! 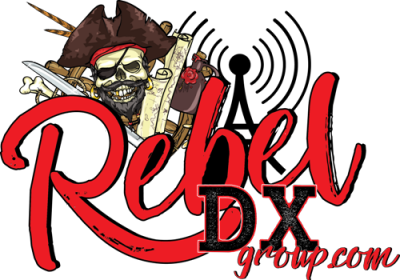 The Rebel DX Group (the DXpedition's organizer) is understandably excited but are keeping their cards close. As with all major DXpeditions, funding is a never ending challenge and donations from individual hams will play an important role. 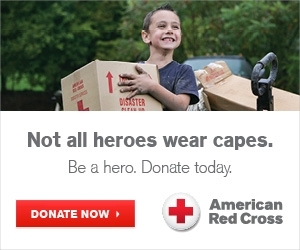 Many of us are supporting this team's effort and you can help too! 3Y0I NEWS UPDATE - Nov 26 2018 : This is an upcoming DXpedition with an unknown start date, month or even year. It could be 2018 - but maybe it's 2019. Who knows? One sure bet is that this operation to a summer time Bouvet Island, which remains windy, frozen and very inhospitable, should be quite interesting. As we post this the 3Y0I Bouvet DXpedition team seems to be getting much closer to an actual departure date. The team members have gathered together in South Africa and are going through cold water rescue training, Zodiac launch drills, shelter construction, etc. There are many wild rumors floating around in the ether about this DXpedition so please verify what you see or hear by checking with the "Official" 3Y0I sources linked above. Read about previous DXpeditions to Bouvet Island here. For 3Y0I QSL Info and the 3Y0I online log - see links above! Bouvetøya Island or Bouvet Island Expedition? 3YOI DXpedition or 3Y0I ... or 3YØI ? 3YOI DXpedition or 3Y0I ... or 3YØI ?? ?